Considered a “manifesto in the form of a certification standard”, the Living Building Challenge stands out through a stringency meant to inspire new solutions in order to minimize the negative impact that construction has on the environment, maximize the positive impact and insure the building’s independence from the point of view of resources. This system’s mission is not a mere certification, but performance and the opening of new paths towards excellence in the green building field. The certification incorporates four main social and environmental problems – climate change,persistent toxic chemicals, loss of habitat/ extinction of species and global inequity, problems that it addressees through seven categories, named Petals, which will be discussed in the further on. The association to the flower comes from the concept of grounded, an organic development which supports the system it belongs to. Thus, the certification’s Petals refer to the various aspects of such a living construction, namely to Site, Water, Energy, Health, Materials, Equity and Beauty. The first Petal, related to the Site, aims to rebuild the connection between the urban and natural environments. Consequently, an essential aspect is that of not restricting the natural habitat, allowing the construction only on brownfield; additionally, a surface equivalent to the built area has to be devoted to ensuring the species’ freedom in nature. Also, the Living Building Challenge targets the creation of pedestrian areas, through efficient use of infrastructure and the proximity to facilities. The Petal referring to water seeks to inspire the creation of places, buildings and communities relying on water independent systems that reuse water by filtering it without employing chemicals, gather the rain water and reduce the water consumption. This request is one of the main challenges for the design process, especially in residential areas, where water consumption is higher than in buildings with a discontinuous program. In the end though, this challenge is the first step towards innovation and more and more ingenious solutions custom made for each location. The energetic request refers to a net zero energy consumption, the building relying on alternative forms of energy. Regarding the Health Petal, this is mostly concentrated on a civilized, healthy environment, and biophilia. The inhabitants need to be able to control air quality, thermal and visual comfort through windows that can be opened. In order to fulfill the biophilia standard, the design needs to be inspired from the elements of nature, helping create the human-nature connection. The most consistent request of the Living Building Challenge is the one related to Materials, by recognizing and using strictly materials safe for all species in the long term. Thus, a Red List has been constructed, together with a document that inventories safe products – Declare, initiated by the Living Future Institute. Also in the Materials section, the reduction of carbon footprint, the local procurement of materials, the use of responsible industries and a waste recycling and reuse plan are included among the requirements. Regarding Equity, the Living Building Challenge certified construction needs to be accessible for all social classes, maintaining an equitable life standard, to establish a proportional relation between the human scale and that of the building, all the while ensuring the right to nature, natural lighting and visual comfort for the inhabitants and the surrounding buildings. The Beauty Petal brings up discussions on the education and inspiration of future projects through esthetics and the harmonious integration of the project. Currently there are 4 Living Building Challenge certified buildings worldwide, with another 40 registerd. 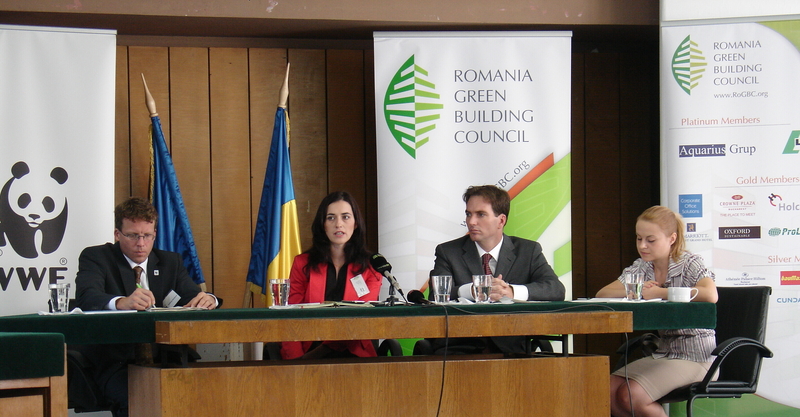 Romania applies to this certification with 3 projects initiated by the Romania Green Building Council, who starting February 2011 has been a Living Building Challenge Ambassador. The three projects registered for certification are ecoBiblioteca, The Calnic Project and the RoGBC headquarters. What’s in it for the small producers? I won’t go through the changes brought by the OUG 88/2011 for the big producers since I think they were well detailed in this article ( text only in RO). 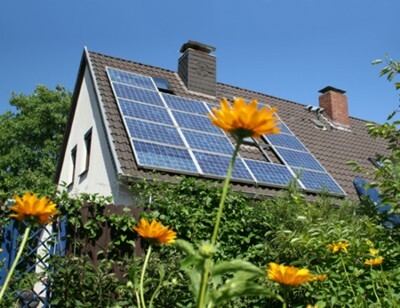 The changes for the small producers (mostly net metering and priority access) sound promising but we still have to wait for the secondary legislation mainly the methodology for establishing the energy price and technical and commercial rules that define the priority access to the grid that should be developed by ANRE. Hopefully the full development of secondary legislation will take less than 3 years – what we waited for the famous Law 220 to become operational. For an updated list of secondary legislation that was developed so far around Law 220 /2008 modified by OUG 88/2011 please check here (in Ro only). We would like to introduce a state of the art technology elaborated by one of our members. There is a linkage between the energetic and the construction and building sector, so this might be relevant new information. SYNERGY Construction established the Georgia branch and started works for the SIEMENS HVDC technology to transmit eco-friendly electric power from Georgia to Turkey, as part of the Black Sea Transmission Network Project – one of the most significant infrastructure projects in Georgia. This project will contribute to the development of the country and will increase its integrity to western countries and market. The goal is to connect the Georgian power supply network with the grid system in Turkey and to transmit controlled electric power generated in various hydropower plants in Georgia to Turkey. The works have been commissioned on 15.02.2011, as mentioned in the press release from SYNERGY. For more details please click here. 27 september was the date when the local companies from Suceava county and not only learned about the EcoBiblioteca project from Cacica. Through the help of the local authorities, RoGBC organized a meeting with the businesses and explained about the purpose and the intention of such a project. Trying to involve as much as possible local companies is a desirable aspect that RoGBC and biblionet wants to achieve through this sustainable renovation. The presentation went well and we got positive reactions from the crowd. The second part of the day was a survey made by the architecture company dicositiganas which will be responsible for the design of the project. We are very glad that we have mr Serban Tigans, who was recently appointed president of the Romanian Order of Architects, as architect for EcoBiblioteca. Things are moving in the right green direction. On 7 september, RoGBC organized at our office an integrated design meeting which gathered all the parties involved in the project: RoGBC, biblionet, Corporate Office Solution, WSP, Dexion, B Lighting, InterfaceFloor, Dicositiganas and local authorities from Cacica. The summary of the project is to renovate the Cacica library in a “green way” by significantly improving the design, energy performance, lighting quality, indoor air quality and comfort of the building. The project will encourage use of the library as a community space increasing visits and participation by the citizenry. The project will build awareness of environmentally responsible and energy efficient building and renovation techniques and stimulate the creation of green jobs both locally and nationally. 1. Which are the obstacles encountered and how we overcome them? 2. How do we promote the “EcoLibrary” concept nationally? 3. The objectives of the project. 4. New ideas to overcome the “old” library concept. All participants had the opportunity to rotate around the 4 tables. All parties expressed their opinion regarding each subject so the discussion was complete from all points of view and valuable information was gathered. The participants were pleased with the way the meeting went. The integrated design session is an important aspect for green constructions, in our case this sustainable renovation. We want to thank all the participants and for those who want to join this project the “doors” are open. The RoGBC member company ProLogis announced yesterday it has formed a Global Renewable Energy Group to procure new business, manage installations and provide development management services for renewable energy projects globally. In addition, ProLogis announced a new, 4.8-megawatt (MW) solar project to be installed on eight of its rooftops at ProLogis Park Sant Boi in Barcelona and ProLogis Park Alcalá in Madrid, Spain. ProLogis completed its first solar installation in France in 2005, and now has solar installations on 20 buildings covering 669,000 square meters of roof space. “Upon completion of the new project in Spain, we will have more than 11 MW of solar installations on our rooftops, which is enough energy to power more than 1,100 homes per year,” said Jack Rizzo, chief sustainability officer for ProLogis. 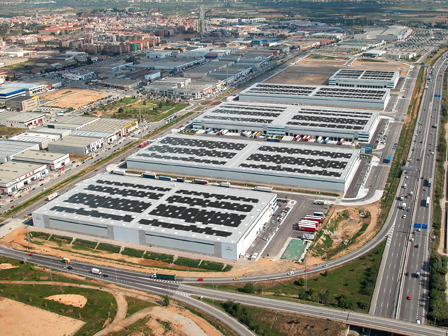 ProLogis has signed a lease agreement with Recurrent Energy, a distributed power company and a leading provider of solar energy, for 180,000 square meters of roof space in Spain. Recurrent will use the roof space to host its solar installation, and will sell the energy produced to the local utility company through a feed-in tariff. ProLogis will provide construction management services in addition to receiving roof rental fees. Construction is expected to commence in October 2009. 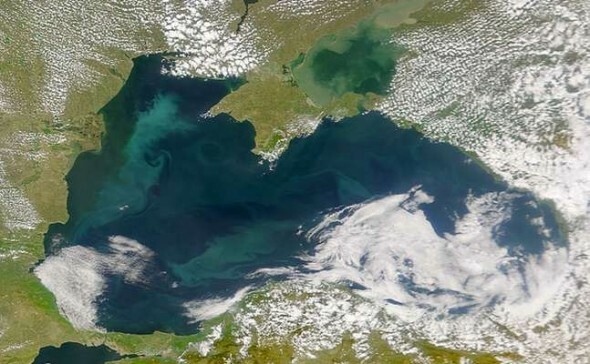 The RoGBC member Oxford Sustainable Group, the leading renewable/sustainable developer, announced the launch of The Oxford Renewable Energy Fund 9 (OREF 9) , a closed-ended fund to be listed on the Channel Island Stock Exchange (CISX) seeking to raise €200 million. OREF 9 aims to add value, achieve capital growth and spread risk though investment in and development of a range of renewable energy projects primarily in Finland, Romania and Estonia. The fund has a duration of five years and aims to deliver a low-risk 20% per annum return to investors after all costs and fees (net). The return requires zero bank financing, meaning high returns with low risk in the current financial market turmoil. The final development value of the projects generated could reach €2 billion. The fund is targeting institutional and high net worth investors. The market in Central and Eastern Europe has performed well in the past compared to Western Europe and is expected to again perform strongly in the medium term. European and Global demand for energy is high and forecast to rapidly increase. Within Europe there is a strong government commitment to fixed targets and high subsidies to generate a minimum percentage of energy using renewable sources – some countries need to double their renewable capacity by 2020. The Oxford Sustainable Group will select and manage OREF 9 projects through a process of careful and detailed analysis, due diligence and active management; this means that investments are selected based on the considerable value that the Oxford team can be add to them, taking account of project specifics, local area effects, general planning, political possibilities and market situation/trends. This is the same investment philosophy which Oxford’s previous eight investment opportunities have followed. To date, Oxford’s independently audited projects have delivered over 50% per annum on average. 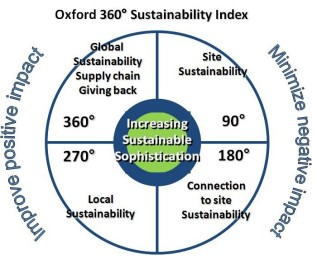 The Oxford Sustainable Group goes further than other ethical/SRI methodologies in the market by using a proprietary 360 degree sustainable approach. This sustainable approach takes into consideration the effects of Oxford projects on all stakeholders. Instead of focusing only on an “ethical” formula derived from narrow investment criteria, Oxford is concerned with how a project satisfies the needs of our investors, the environment, society, local residents and the broader economy. The Oxford Sustainable Group was recently awarded CarbonNeutral status – the only CarbonNeutral renewable energy developer in the CEE region.